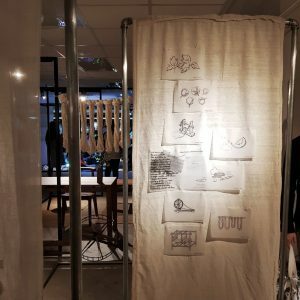 At Folkcharm, we always find it intriguing to learn how people from different communities, backgrounds, experiences and interests view, appreciate and interpret ‘local crafts’. 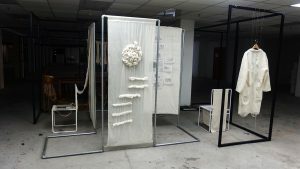 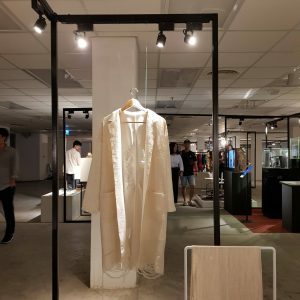 So we partnered with Public Fabrics to as they bring our story to life in their ‘Listen, touch and hear’ exhibition at Bangkok Design Week 2018 (24.01-08.02 2018). 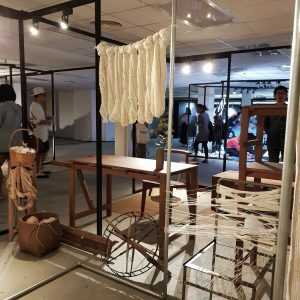 PublicFabrics x FolkCharm Crafts installation at Bangkok Design Week illustrates the work-in-progress of our artisans’ traditional handspun handwoven techniques. 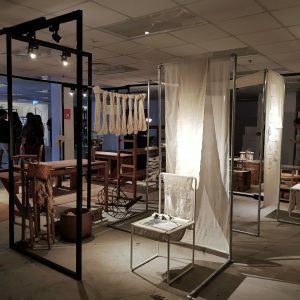 Public Fabrics is a Bangkok-based purpose-driven platform that attempts to republish local crafts(wo)manship with design & storytelling to empower the makers and connect their potential with contemporary audience. 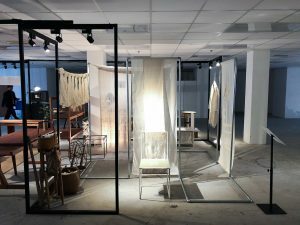 It is co-founded by two talents of different design fields: Anya Muangkote, a product designer, architect, and musical artist and fashion and textile designer, Kamonnart Ongwandee. 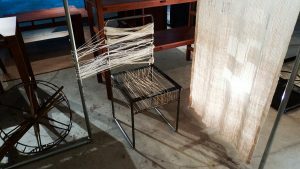 In late 2017, co-founder and long time friend, Kamonnart, joined us on one of our travels to partner communities in Loei Province to understand our working process, the way of life of cotton farmers and artisans as well as the local techniques that have been passed on for many generations. 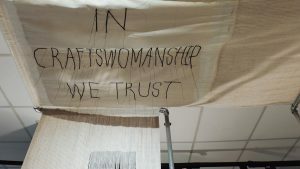 “…we realise the installation as an amplifier for craftswomens’ voices, telling the ancient process of handspun and handwoven cotton to envision a lifestyle that values time, nature, and making a place for traditional wisdom in contemporary living. 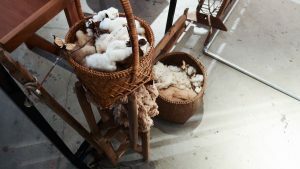 In their truth revealed with time.